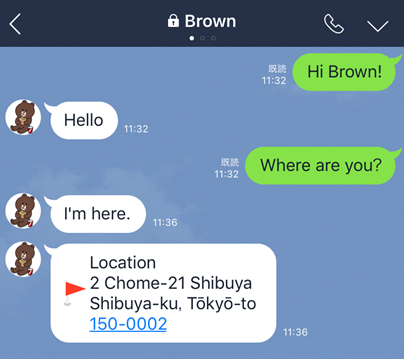 Tokyo, Japan – August 10, 2016 –A new “lock” indicator icon is being introduced in the latest version of the free call and messaging app LINE (iPhone/Android: version 6.5; Windows/Mac: version 4.8）that allows users to quickly determine if a chat room is protected with end-to-end encryption. This new icon, being introduced gradually in regions around the world, follows recent expansions to the coverage of LINE’s “Letter Sealing” end-to-end encryption to include not only 1-on-1 chats but also group chats (as of July 5) and 1-on-1 free calls (as of July 26). *1: Currently only text and location information are protected. Encryption of other chat data to be introduced in the future. Please note that there has never been an instance of communication or other data leakage from LINE service-related servers, whether end-to-end encrypted messages or otherwise. On July 5, LINE expanded the coverage of the Letter Sealing feature to group chats＊2 and on July 26, began providing end-to-end encryption for 1-on-1 LINE Free Calls*3. Now with the introduction of the new lock icon, users around the globe will be able to quickly confirm which chats are being protected with end-to-end encryption. *2: Currently Letter Sealing only supports group chats of up to 50 users. *3: Supported via LINE version 6.5; released on Android on July 26 and iOS on July 28. LINE version 4.8 for Windows released on August 4 supports this feature, but LINE for Mac will introduce support in a coming release. Ever since launch, LINE has continually incorporated state of the art technology and methods for protecting the privacy of users’ communications, with a particular focus on encryption technologies. Even prior to the Letter Sealing feature, messages on LINE were protected as they traveled between users’ devices and LINE servers, with all data strictly managed in compliance with Japan’s communication privacy laws.